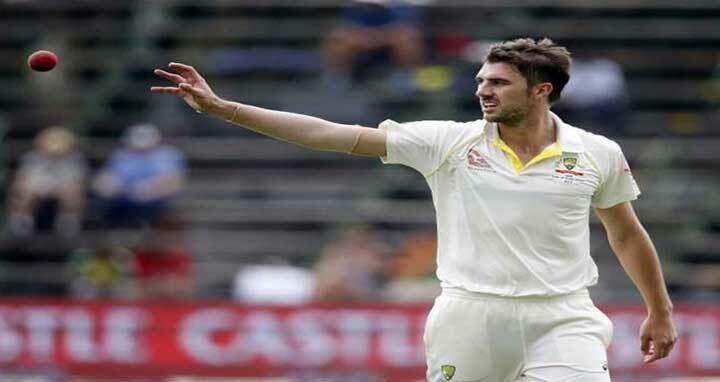 Dhaka, 10 April, Abnews: Aussie fast bowler Pat Cummins has been ruled out of this season’s Indian Premier League (IPL) with a back injury, Cricket Australia said on Tuesday. Cummins, who was due to play for Mumbai Indians in the Twenty20 competition, now faces a race to be fit for Australia’s limited-overs tour of England in June. “Follow-up scans have confirmed that he has bone oedema in his vertebrae,” CA’s support team physiotherapist David Beakley said in a statement. “It is important that Pat has time off bowling, to prevent the injury becoming more serious and consequently we have made the decision to rule Pat out of the IPL. “Pat will now undergo a period of recovery and rehabilitation and we will look to re-scan him in a few weeks to assess the healing. Cummins has played 13 consecutive tests for Australia since being called up during the tour of India last year.